The behemoth field of the WPT Seminole Hard Rock Poker Showdown drew 1,360 entrants, all ready to battle fiercely for a prestigious WPT title. However, by the end of Day 2 of the tournament, there were just 90 players left. 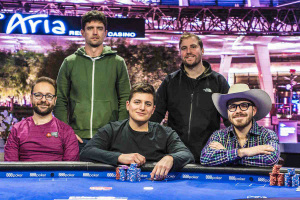 Poker pro Keith Ferrera bagged the largest stack after the end of the second day of the fourth largest WPT Main Event in the history of the series. The player had amassed 1.905 million in chips by the time organizers called it a day. 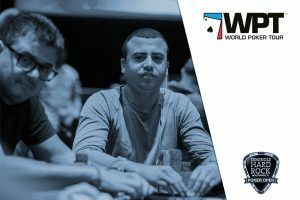 Ferrera is vying for his first title from the WPT’s Main Tour series. 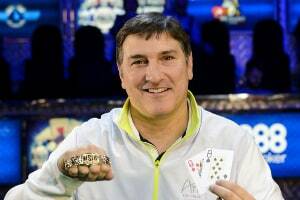 The player made it to the final table of the WPT Lucky Hearts Poker Open at Seminole Hard Rock in Season X, but a title eluded him back then as he hit the rail in sixth place. Ferrera emerged as the chip leader early into Day 2 of the tournament and never really lost his momentum throughout the levels that were played at the host venue – Seminole Hard Rock Hotel & Casino Hollywood – on Sunday. Of his performance on the second day of contention, Ferrera said that it felt good to be the chip leader and that he ran very well yesterday. 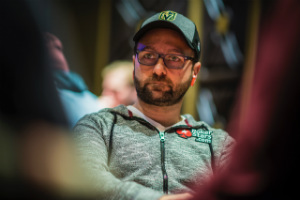 The overnight chip leader recalled that there had been times when he had ran well but had ended up out of the race, so it really felt good to not only make it through Day 2, but bag the largest chip stack. Ferrera had great run on Sunday at the host casino, winning practically every pot he played. However, his advantage will not make his march toward victory an easy task. Trailing behind the overnight chip leader is 2016 November Niner Jerry Wong. The player put 1.47 million in chips in his bag last night, good for the second spot in the temporary leaderboard. 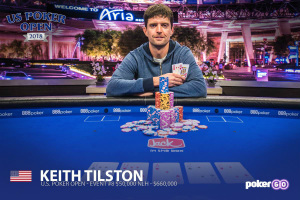 Another seasoned poker pro and a two-time WPT champ holds the third largest stack into Day 3 of the tournament. Aaron Mermelstein collected 1.425 million worth in chips last night to attack the top for a third title. Other notables still in the hunt include former champs Eric Afriat, Erik Seidel, Niall Farrell, Seth Davies, and Frank Stepuchin, among others. The only player to have ever won four titles from the series – Darren Elias – also made it through Day 2. Day 3 of the WPT Seminole Hard Rock Poker Showdown is set to kick off today at noon Florida time. The remaining players are scheduled to play five 90-minute levels. Each of them has at least $7,620 locked up. As mentioned earlier, the tournament drew 1,360 entrants who generated a prize pool of $4.352 million. The money was split into 170 payouts, min-cashes starting from $6,185. 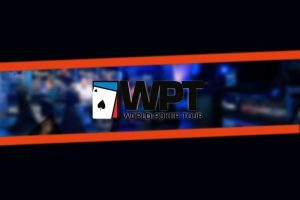 The winner will be awarded $715,175, including a ticket into the season-ending WPT Tournament of Champions.